Center. Association President Steven Houser, Ph.D., of Temple University in Philadelphia presented the award, a citation and honorarium. “During the last five years, Dr. Seidman and her associates identified titin as the most common cause of inherited dilated cardiomyopathy, and used induced pluripotent stem (iPS) cells to define the mechanism by which the mutations disrupt sarcomere function,” Houser said in making the presentation. Seidman and her colleagues also have shown that allele-specific silencing and small molecule inhibitors can suppress hypertrophic cardiomyopathy in mice, AHA’s president said. “These studies, along with other ongoing work in Dr. Seidman’s laboratory, may lead to the development of personalized treatments of hypertrophic cardiomyopathy and inherited forms of dilated cardiomyopathy – two of the most common lethal forms of inherited heart disease in humans,” Houser said. 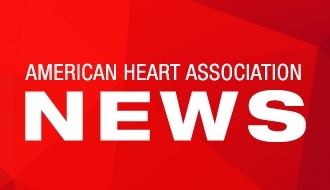 The AHA established the Vita award in 2015 to honor the late Joseph A. Vita, M.D., an accomplished clinical researcher in vascular biology who at the time of his unexpected death in 2014 was serving as founding editor-in-chief of the Association’s newest scientific publication, The Journal of the American Heart Association (JAHA). New Orleans, LA - AHA 2016 Scientific Sessions - Awardee Christine Seidman, MD, FAHA during D3-President: OPS.01 - Opening Session, Presidental Address by Steven R Houser here today, Sunday November 13, 2016 at the American Heart Association's Scientific Sessions being held here at the Ernest Morial Convention Center. Scientific Sessions is the leading cardiovascular meeting for basic, translational, clinical and population science, in the United States, with more than 19,000 cardiovascular experts from over 105 countries attending the meeting.